Wedding customs are passed down from generation to generation and symbolizes the historical culture of a society. Wedding traditions are powerful in that they honor the past while blessing the bride and groom with a beautiful, happy and prosperous future. Explore some of the unique wedding traditions around the world with us! In Germany, families begin preparing for their daughter’s wedding at birth. When a baby girl is born in Germany, her family plants several trees, and once she becomes engaged, they are sold so the money can be used as her dowry. Friends and family members are also responsible for creating a wedding newspaper filled with pictures and stories of the couple. The newsletter is then distributed and sold at the wedding, with all profits going towards the couple’s honeymoon. The marriage ceremony is broken up into 3 parts. 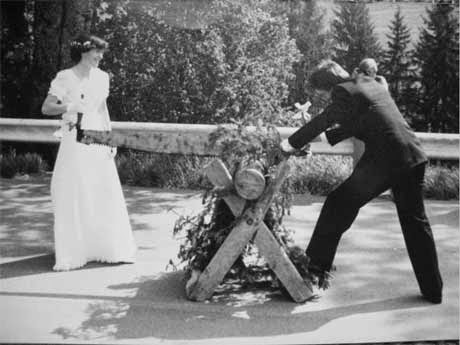 After the couple has exchanged their vows, their relationship is then immediately put to the test in front of all their family members and friends when they must work in unison to saw a log in half. The act is intended to represent the couple’s ability to work together and weather any storm they may encounter during their marriage. There are many Indian wedding traditions that typically last for about a week. 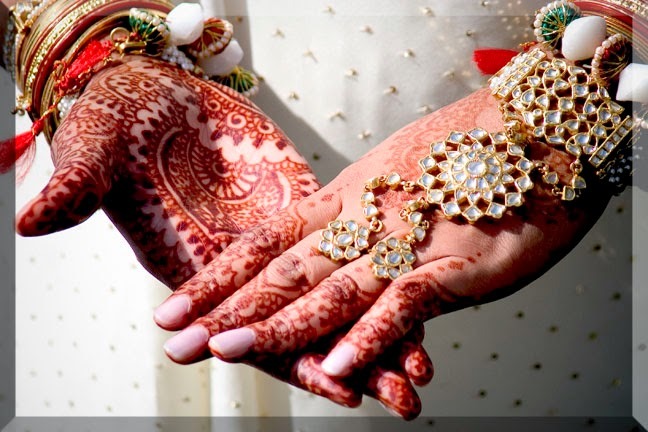 One of the most well-known custom is adorning the bride’s hands and feet with beautifully intricate henna. It is believed that the deeper the color of the mehendi (henna), the stronger the love the groom has for his bride. Perhaps one of the silliest and most fun customs of a traditional Indian wedding is when the sisters of the bride steal the groom’s shoes after he enters the wedding tent. In order to get his shoes back, he must bribe the sisters! If you’re a Welsh bride, prepare to be bride-napped! Bride-napping is a common wedding tradition across many European countries and is when the best man of the groom takes the bride-to-be to a pub before the wedding. 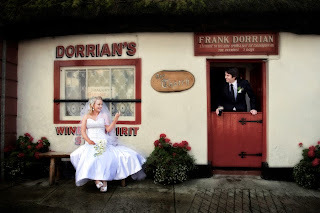 The groom must then search for his missing bride, and once he finds her, he must pick up the tab. 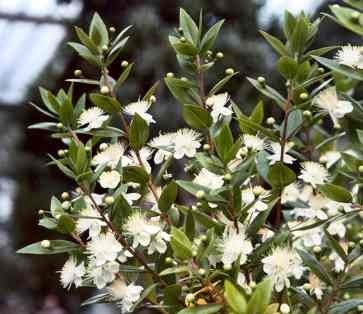 Welsh brides also traditionally carry myrtle, which symbolizes love, and will give a cutting of the plant to her bridesmaids. If the bridesmaids plant the myrtle in her yard and it blooms, she will soon find herself planning her own wedding, according to Welsh tradition. In South Africa tradition, the parents of the bride and groom take fire from each of their homes and bring it to the home of the newlyweds. 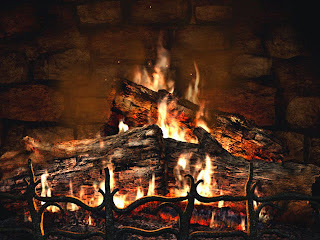 The bride and groom then use the flames from their childhood homes to ignite a fire in their new home together. 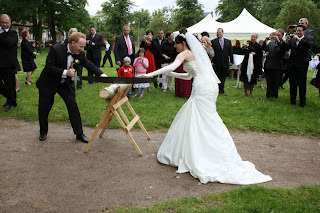 Jumping the Broom is a wedding custom carried out by mixed-race couples as a proof of equality among races. The couple holds hands and jumps over a broom together while drums are being played. The brooms are beautifully decorated with precious stones, flowers and ribbons. A Norwegian bride doesn’t just dress to please her groom on her wedding day. 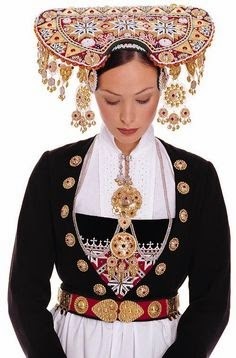 You will usually see Norwegian beauties wearing a traditional white or silver gown as well as a silver or solver and gold crown. Small ornaments or bangles hang from the crown and according to Norwegian legend the music produced from the bangles will ward off any evil spirits that may be lurking nearby. A traditional Norwegian wedding cake, known as kransekake, is made of bread and topped with a mixture of cream, cheese and syrup. The dessert is folded over and cut into small squares to be served. About the Author: Lovie Art Jewelry specializes in affordable wedding jewelry for both men and women. Visit www.lovieartjewelry.com to save thousands on beautiful wedding rings and bands!